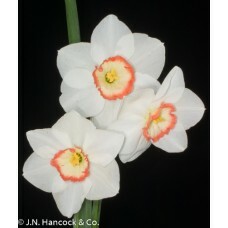 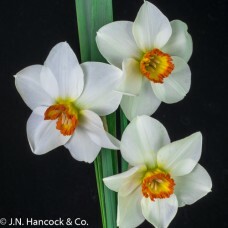 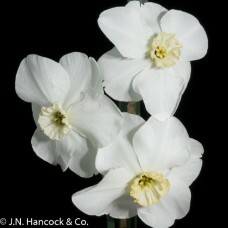 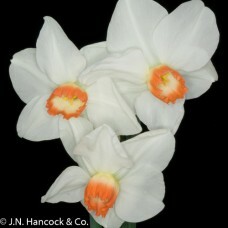 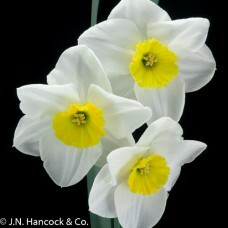 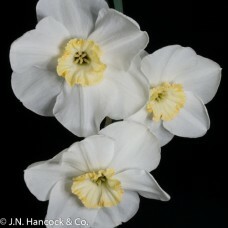 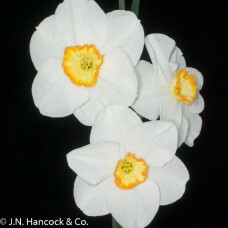 A classy flower, broad overlapping pure-white petals surround a green- eyed dainty, white cup. 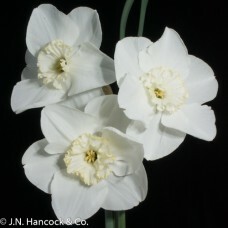 Stron.. 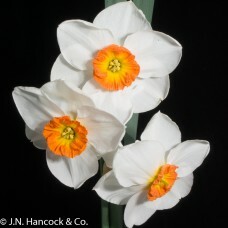 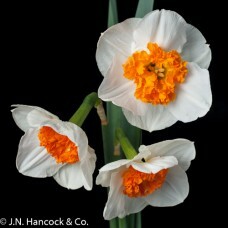 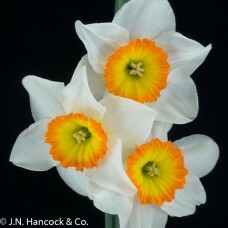 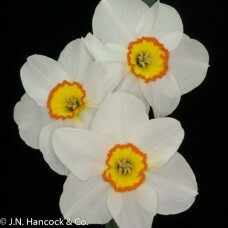 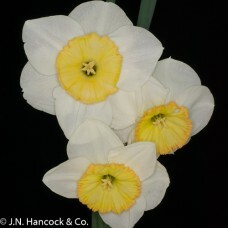 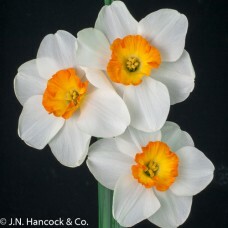 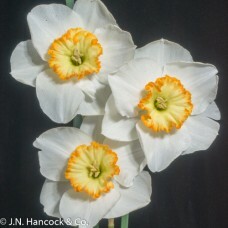 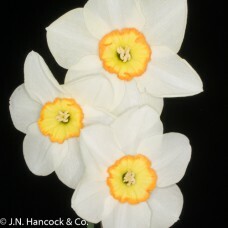 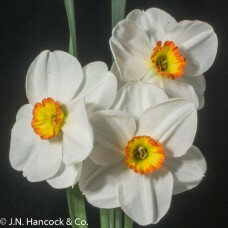 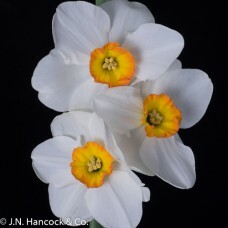 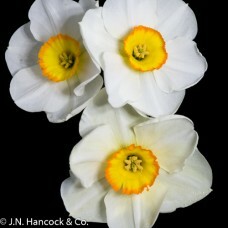 Brilliant ice-white petals with the yellow cup broadly banded with orange red, green throat. 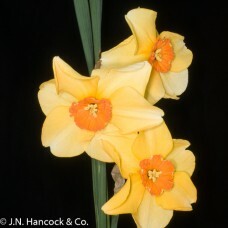 Mid-lat..